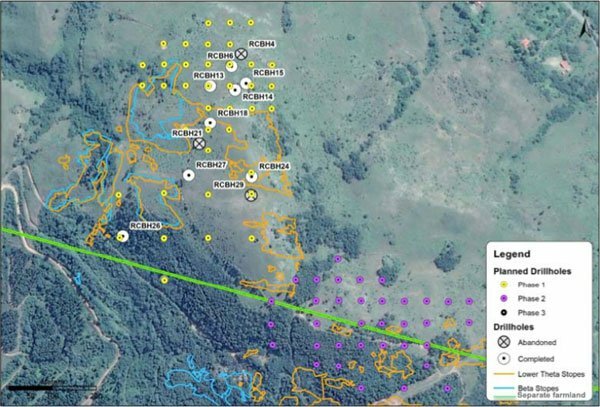 ASX gold junior, Stonewall Resources (ASX:SWJ), has today revealed some promising results from its first round of reverse circulation (RC) drilling in South Africa’s globally significant Pilgrim’s Rest region. As expected, drilling has confirmed high-grade gold at the Theta Hill targets surrounding historic underground mining stopes, with a depth of 10-30 metres. This outcome provided further confidence to the Company’s open cut mining strategy in this area next to its existing CIL plant. Results include two metres at 16.5 grams per tonne of gold from 26 metres (RCBH14, 11 metres at 2.9 grams per tonne from 14 metres (RCBH24), five metres at 6.0 grams per tonne of gold (including two metres at 8.9 grams per tonne of gold) from 11 metres (RCBH6). A differentiator of these results to a regular drilling program, is that the horizontal gold bearing reefs are continuous in nature, Stonewall’s drilling are not to discover, but rather to define a JORC Resources since the Company established an Exploration Target for this area back in September 2017. Metallurgical testwork is currently underway, and follow-up drilling is planned. On top of that, results from final drilling at the Theta Hill and Columbia Hill drilling campaigns are pending, expected early in the new year. 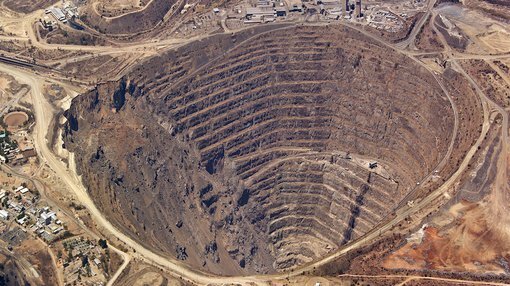 SWJ has control of an entire gold system in South Africa’s renowned Eastern Goldfields, with holdings situated where the South African gold mining industry began some 130 years ago. These assets include several surface and near‐surface high‐grade gold projects which provide considerable cost advantages in comparison to SWJ’s gold peers in the area. SWJ has a current JORC resource hosting 3.7 million ounces of gold, comprising a number of key mines which surround the company’s central, functional CIL plant. SWJ’s core project is TGME, which is situated next to the historical gold mining town of Pilgrim’s Rest, in Mpumalanga Province, some 370 kilometres east of Johannesburg by road or 95 kilometres north of Nelspruit (Mpumalanga Province’s capital city). Following small-scale production from 2011–2015, SWJ is focusing on refurbishing the existing CIL plant and nearby mines, with the intention to resume gold production. Its aim is to build a solid production platform to over 100 thousand ounces per year based primarily around shallow, adit‐entry hard rock mining sources. Promisingly, SWJ has access to over 43 historical mines and prospect areas that can be accessed and explored. It should be noted though that SWJ remains a speculative stock and investors should seek professional financial advice if considering this stock for their portfolio. On top of its RC drilling at Theta Hill, with phase one now completed, SWJ also has commenced a focused drilling campaign at Columbia Hill – this target represents another potential high grade, open‐cut resource, within close proximity to the TGME CIL Plant at Pilgrim’s Rest. Additionally, SWJ is in the process of underground access at its Rietfontein Mine for metallurgical/bulk sampling test work. As part of its Rietfontein pre‐feasibility study program, SWJ has begun underground exploration activities for resource definition and metallurgical investigation work ahead of a planned diamond infill drilling program. Drilling is planned at Rietfontein early next year – initially from surface, followed by later underground drilling when appropriate. Currently Rietfontein has a JORC Resources of 905,000 ounces at 11g/t. Further to that, auger drilling of the TGME tailings dam is also completed, assays pending. As SWJ announced on 11 December, the initial program of reverse circulation (RC) drilling at Theta Hill has been completed. The program’s objective was to confirm the concept of a potential open‐cut resource, following the identification of shallow, multiple stacked reefs through the review of historical information and data. SWJ is taking a phased approach to evaluation of the open‐cut potential of the area. A total of 613 metres has been drilled for the 11 RC holes, ranging in depth from 20 metres to 105 metres, to an average depth of 55.7 metres. Here, drilling aimed to intersect the Bevett’s, Upper Theta, Lower Theta and Beta Reefs. 5m @ 6.0g/t Au from 11m in RCBH4 (including 2m at 8.9g/t gold from 12m) possibly Upper and Lower Theta reefs. Whilst the assay results from the one metre composite samples are encouraging, they are not reflective of the likely true reef width, given that the interpreted true widths of the flay-lying reefs (such as Lower Theta) are typically between 0.2 metres and 0.4 metres. The true reef grades are therefore likely to be much higher grade than those reported. The company plans to follow up the intercepts with diamond drilling to better ascertain the reef widths and to conduct metallurgical testwork. Overall, the results from this preliminary drilling campaign are very encouraging, with numerous holes intersecting the Lower Theta reef with interpreted true reef grades up to 55 grams per tonne. Following assay results, a review of the geological model is now underway to integrate all the available information and assist with planning the next stage of work. The next step here is follow-up drilling to progress towards a maiden JORC resource, and, ultimately, mine planning and scheduling with a view to potential open-cut mining of shallow high-grade resources in the shortest possible timeframe in 2018.